White Hat Rally: Knight Riders Raise £54,228 for Barnardo's! Knight Riders Raise £54,228 for Barnardo's! This evening this year's ralliers presented Barnardo's with a huge cheque for £54,228 to support their work with vulnerable children and teenagers. Fundraising will continue until the end of December and then we prepare for our next adventure. Thank you to everyone that participated in and donated to this year's rally, and to our generous corporate sponsors. Special thanks this evening were given to Harry Bains who has been the public face of the Rally for the last three years. He has worked tirelessly to recruit sponsors and teams, and has directly led several very successful CSR campaigns securing significant funds for Barnardo's. A true gent. We know Harry will continue to promote the rally and participate in it, so we can't really say we will miss him, but we do offer him a massive thank you for the huge contribution he has made and the time he has selflessly given. Together we have transformed the lives of so many young people. Join us next year for our 10th anniversary rally to the north of England. It is truly going to be an adventure to remember. 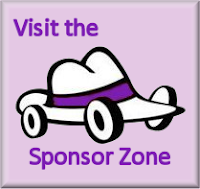 Our corporate sponsorship packages are now available, and we are already signing teams. The formal launch of our next event will take place early in the new year, where John Godwin will share details of the fun to be had and our sponsors for 2018.